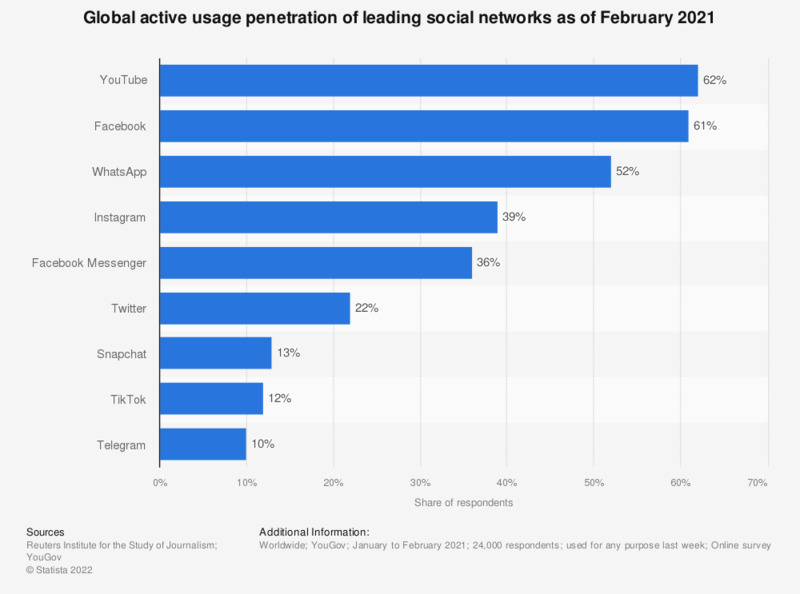 This statistic presents information on the global active usage penetration rate of leading social media sites as of February 2018. During the survey period, it was found that 65 percent of internet users had accessed Facebook in the past week. How often do you use the following social networks?